With any holiday, it benefits you to really get into the holiday spirit when hosting a gathering. 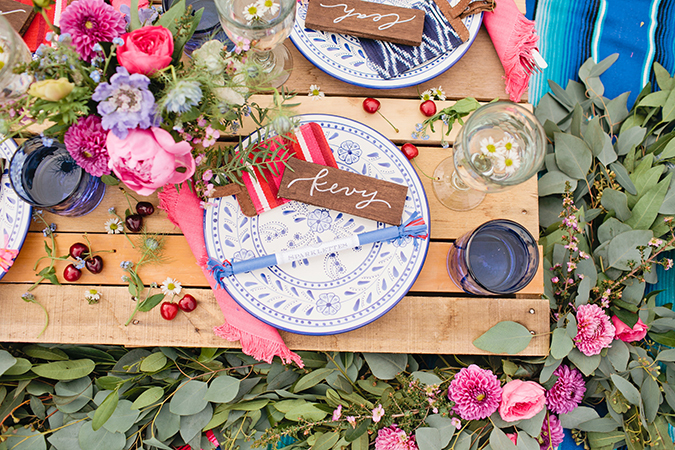 Embrace the holiday’s color palette and theme in order to create a festive atmosphere. But also don’t be afraid to have fun with it, and make it your own. 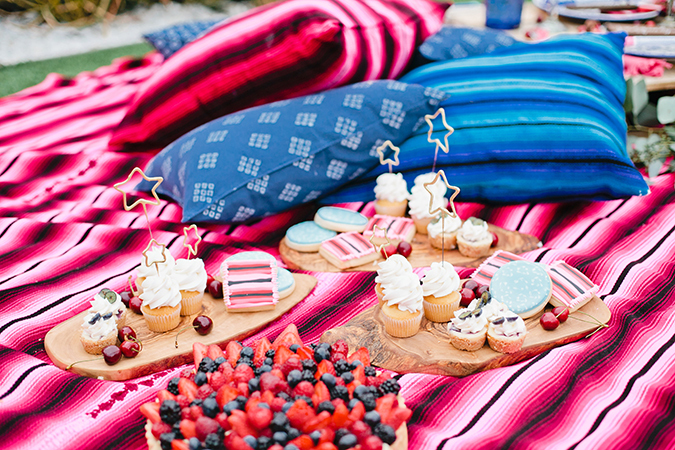 A red, white and blue color palette is pretty standard fare for the Fourth of July. So we decided to give those classic colors a modern twist by going with pink, white, and blue. It still turned out super fun and festive, but we were able to have our own style shine through. 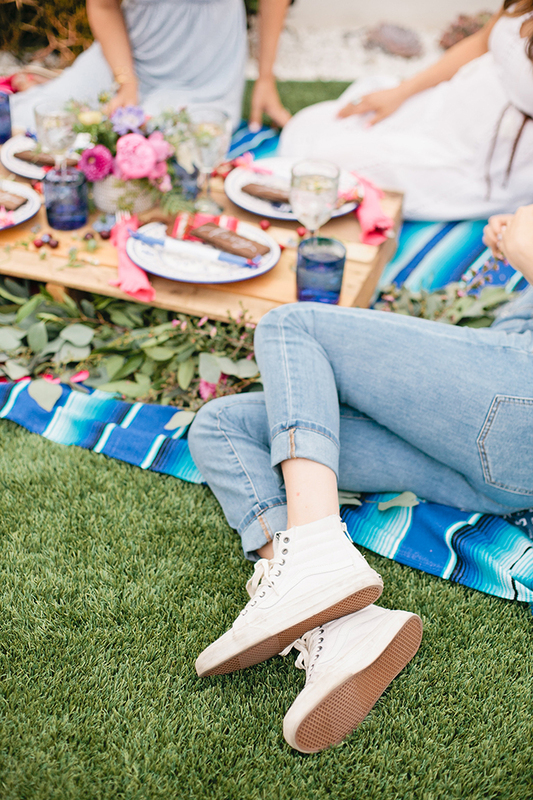 For a summer soiree, it’s nice to keep things casual and unfussy. 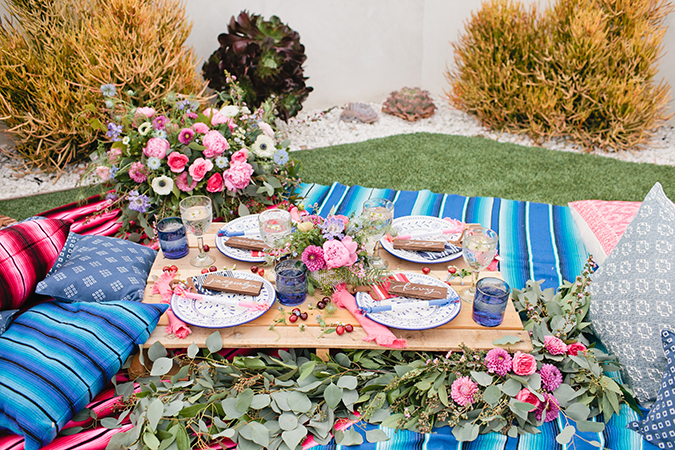 The days are longer and the weather is amazing, so why not spend time outside and enjoy your natural surroundings instead of spending hours designing a formal tablescape? 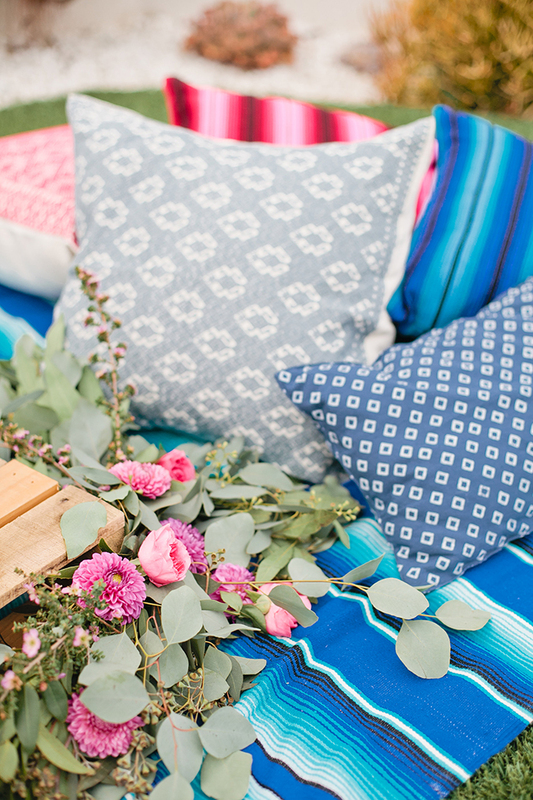 Whether you have a backyard or you are at a park or the beach, bring blankets and pillows, and make it a fun al fresco affair on the ground! We added a simple wooden board made out of leftover wood scraps as the table. It was nice for everyone to hang out and be comfy, instead of sitting at a fancy dinner table for once! 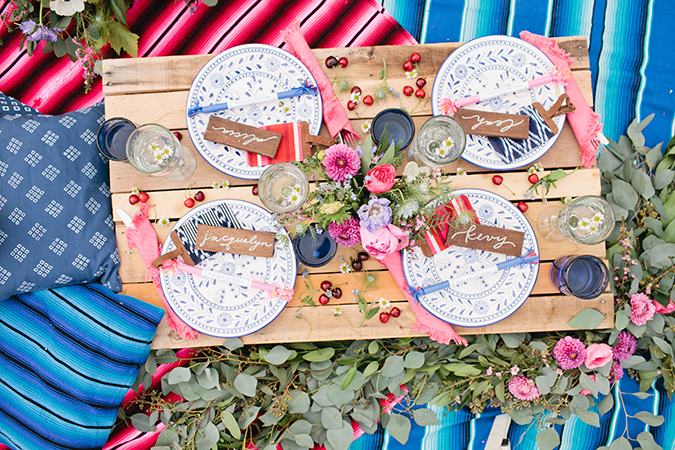 As with any event, it’s all about the details… You may have all of the essentials you need, but it’s the details that will have people saying what an amazing party that was. Start with your invite—we always love getting something pretty in the mail or even in our email inbox. It adds a nice touch to your guests and shows that you took the time to start your party off right. 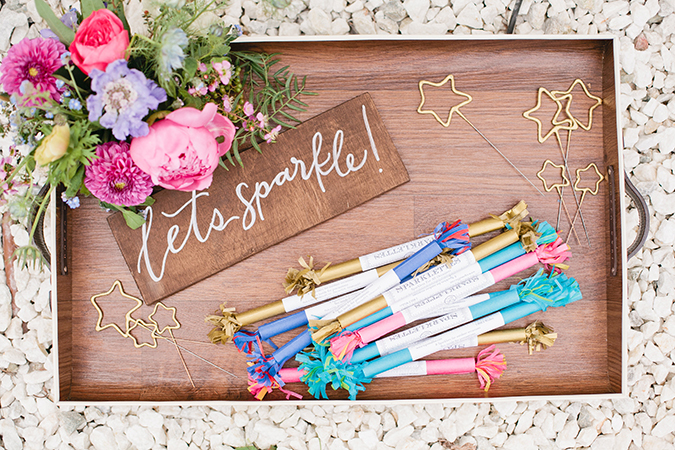 Having small touches like signage, place cards, and décor details (like fun sparklers in this case) show your guests that you thought of them and wanted them to feel special at your event. By choosing to host a gathering, you are responsible for catering to your individual guests’ needs. For example, if you are like us and at an age where some of your guests have children, try to have special treats or activities for them. Or for another example, if you know you have a vegetarian guest, have some good food options for them. People always remember when you go that extra mile, and this will not go unnoticed! We guarantee you will be making their day that much happier and memorable. 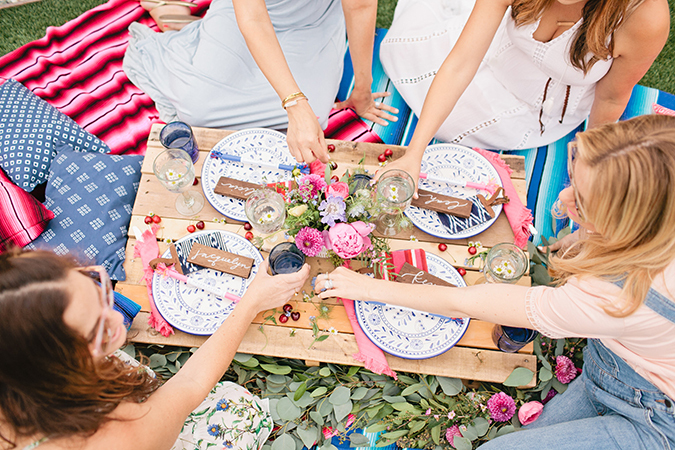 When hosting a party, food and beverages are obviously key. But something you should never skimp on in our opinion are desserts! Because who doesn’t love sweets? 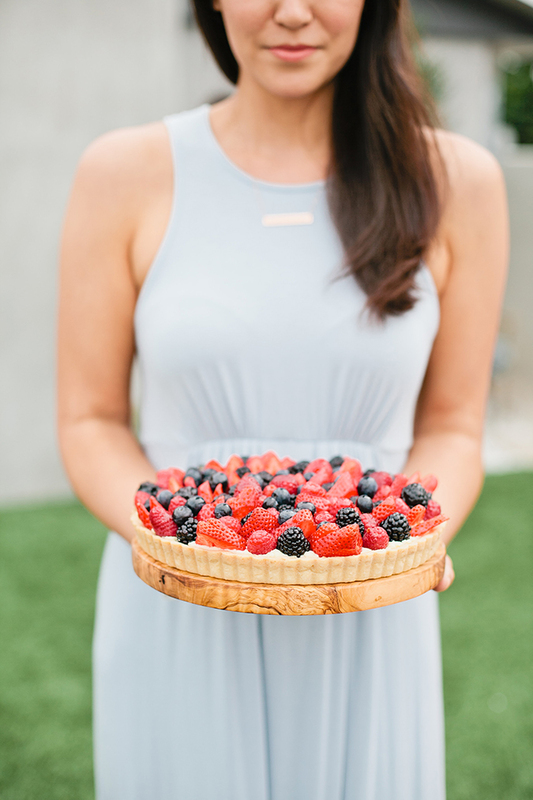 And with the summer season in full swing, there are so many yummy fruit options that can be a lighter and fresher alternative to what you would normally serve. Plus, desserts are some of the last things your guests will taste, making them your last chance to make an amazing impression. As party hosts, we tend to get really busy the day of the event, so make sure you have a designated friend who you can trust to capture it all. After all that hard work, you want to make sure you have photographic proof of how awesome it was. You can also have Polaroid cameras around for guests to use and capture images themselves… Oh, and obviously make sure you have a catchy hashtag ready! You have put so much time and effort into this party. So make sure—above all else—that you enjoy yourself. 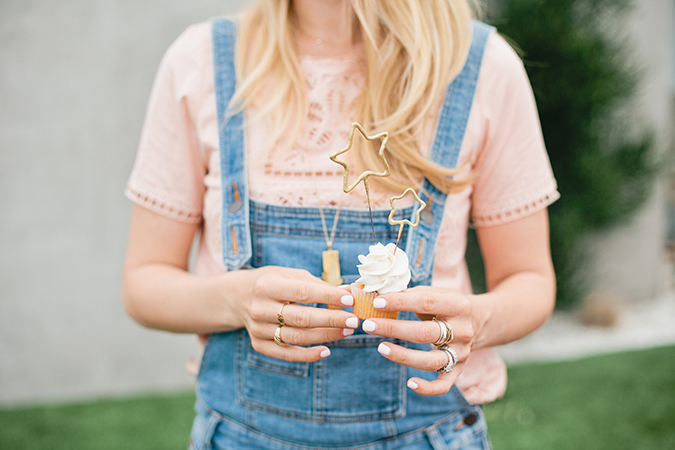 We throw parties to create memories and enjoy our loved ones, so make sure you do just that. Trust us, we are perfectionists so we know it’s hard. But if that means hiring a caterer the day of so you don’t have to do as much work or enlisting a few close friends or family for help, just do it…. You won’t regret it later! We also highly recommend hiring cleaners to come the next day to ease your party hangover and take care of your mess (you can thank us later). How’s that for some seriously stunning party inspo? 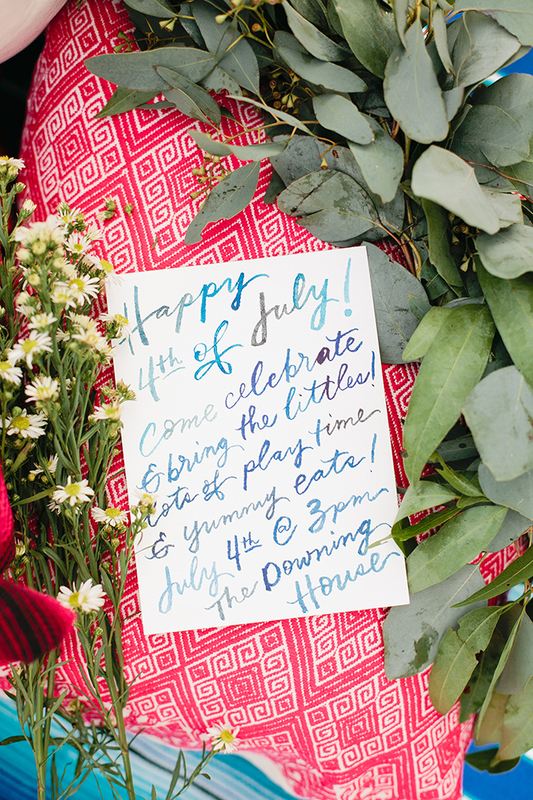 Are you going to host a gathering this Independence Day?